Many auspicious stars are aligned in your path, and you will be expecting a generally smooth year with accomplishments. Business shall prosper this year, and finance will become more stable. You will meet pleasant people who will support you in your career path. If you have plans that have been developing for years, this is the ideal year to carry out your plans should suitable candidates turn up for it. Your hard work will pay off this year with promotion or transfer to an important overseas position. Before that happens, you will feel energetic at work due to cooperation from fellow colleagues, and appreciation from your superiors. However, you should be mindful not to neglect self-cultivation, to avoid causing conflicts with others. The chances of winning lottery are high, especially for those with happy occasions at home. Those born in the 1st or 2nd lunar month may place higher bets if opportunity arises. However, do be cautious not to over-indulge. This is an ideal year for marriage. Young married couples should consider having a child. Females who have just started to work should be mindful not to neglect her significant other. Married men born in 1986 should avoid stray relationships. Family life is harmonious this year. Those born in 1962 may expect addition of new family member(s). Females born in 1950 should pay more attention to their health to prevent chronic diseases. 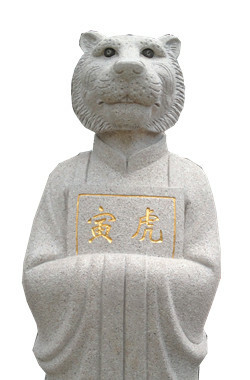 Anyone born in the year of Tiger should pray to Taisui, light a lamp for blessing, and engage in more charitable deeds. Do bring home an auspicious ornament for good fortune.